Looking for cheap paintball fields in MN where you can get together with friends and relatives and shoot paint at them? When it comes to enjoying the activity of paintball, you need to locate a facility that is going to allow you to take part in actually playing the game. It can be difficult to locate such a service provider, because you are going to find that a large number of institutions do not want you to shoot small balls of paint all over the place. Splatball will be the spot you need to think about as being an alternative to suit your needs. This Splatball area will almost certainly provide you with the chance to appear and play with all of your close friends, all for any really low value. In the end, you shouldn’t need to go broke just playing a game title that they like. The inexpensive paintball areas enable you to rent out the place all on your own, if you want it to get a party, or show up to get a decline in, and just have fun with other lovers and individuals in the activity. After all, sometimes you just can’t gather enough individuals to play, but should you want to have a blast on your own, you are going to be able to come out to Splatball for all of your needs. However, you can’t just find an open field or other spot, as chances are, someone owns it, or at the very least it is city property, and you can’t shoot off balls of paint, because this is just going to end up coming back in the form of a fine or other situation. 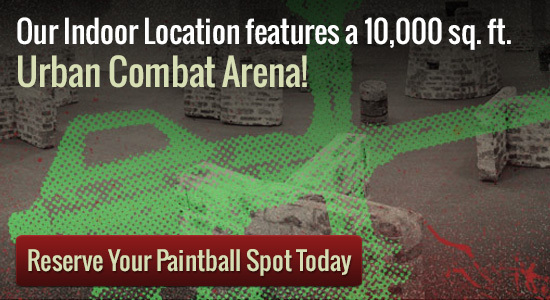 This really is specifically why you should track down the best inexpensive paintball areas available in the community. These cheap paintball areas are getting to ensure that you can enjoy the activity, all without having to worry about getting in difficulty or acquiring a good. Both private play and walk-on play are available at Splatball. If you are looking for private group play the minimum group size is 8 players and reservations must be made in advance. Spots fill up fast, so make sure to book at least a week in advance. Make sure you call Splatball at 612-378-0385 at least one week in advanced to make reservations.